Give the gift of creativity this holiday season! These Christmas ornament kits are easy to put together with scraps of felt or felted wool sweaters cut into classic ornament shapes and bits of ribbon. 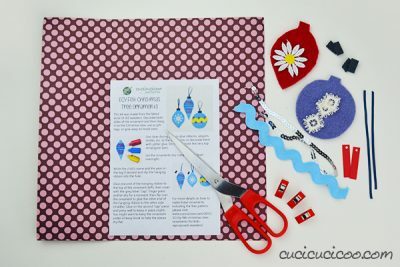 Package them up with the printable instruction sheet, and the children can make their own personalized baubles to hang on the tree.